Add a celebratory tone to your special day with this unique selection of love songs. These duets are arranged for high voice/low voice combinations so any type of vocal pairing will work. 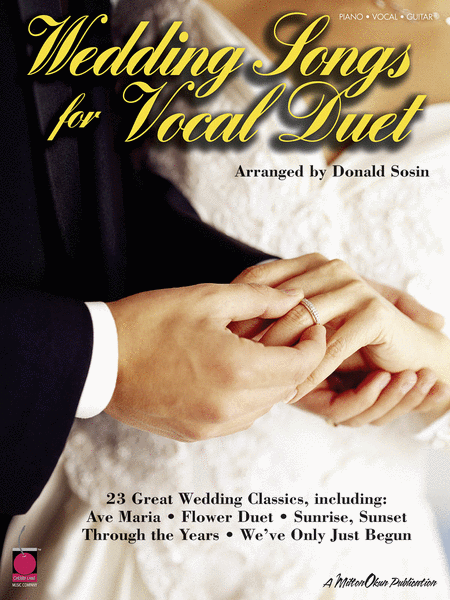 Includes 23 great wedding classics: Ave Maria - Flower Duet - Sunrise, Sunset - Through the Years - We've Only Just Begun - and more.